Posted by Teresa Mihelic HelpDesk on Thursday, July 5th, 2012 at 11:56am. Her e's an extract from some recent numbers reported in different articles in the OCRegister these past days ( July 2012). Not a surprise, we can already see how the OC housing market its recovering, that the bottom was hit and we should see a healthier market thse next years. To begin, we have the Ladera Ranch real estate market, which are selling faster, in 46% less time than the countywide pace. What used to take an average of 2.6 months to sell, now takes less than a month ( about 20 days). The distressed market is still very active there ( foreclosures or shortsales), were almost 20% of the homes listed were distressed. Homes for sale in Ladera Ranch represent 0.9% of Orange County inventory -- and 0.9% of all the distressed homes listed for sale in Orange County. New escrows here are 1.7% of all Orange County's new pending sales. The city in South Orange County with the lowest level of distressed properties is Portoll Hills, followed by Seal Beach and Corona Del Mar with only 2.9% of the homes for sale listed here as short sales or foreclosures. The south county Beach Towns ( Newport Beach, Newport Coast, Corona del Mar, Laguna Beach, Dana Point and San Clemente have also had a decen improvement over the past year. There were 682 homes sold in these cities in the most recent period (June 2012) which represents a 34.3%gain from a year ago. This was largest year-to-year gain among the regions ( Beach town, North Inland OC, South Inland OC and Mid OC). 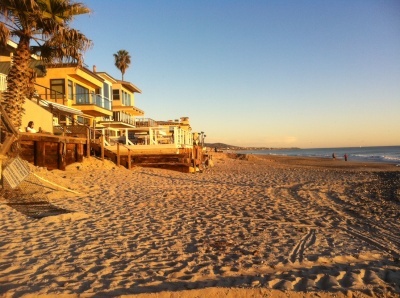 The median selling price at the Beach Town was an average of $668,000 , which is a gain of 4.6% vrs a year. Beach Towns accounted for 22% of recent home sales vs. 18% a year ago.